Watford have signed former Everton winger Gerard Deulofeu from Barcelona, the Spanish champions have confirmed. 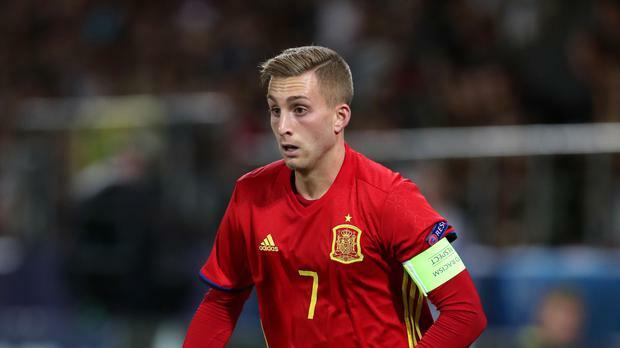 Deulofeu will now return to Hertfordshire on a full-time basis after Barcelona announced a deal worth an initial 13million euros (£11.47million) had been agreed. Announcing the deal on their website, Barcelona said in a statement: "FC Barcelona and Watford FC have reached an agreement for the transfer of Gerard Deulofeu to the English club. "They have agreed on a fee of 13 million euros, plus 4 million in variables. FC Barcelona will also receive a percentage of any future transfer operations to other clubs." A product of Barcelona's academy, Deulofeu struggled to break into the first team at the Nou Camp and was loaned out to Everton in 2013. All did not go to plan on Merseyside and in January 2017 the player was loaned to AC Milan, where some strong performances convinced Barca to take up their buy-back option with Everton. Establishing himself in Catalonia again proved impossible, however, and Deulofeu was farmed out to Watford, who on Monday expressed their delight at having clinched his services on a permanent basis. "We are very pleased to welcome Gerard back to Vicarage Road and thank FC Barcelona for their part in concluding this deal," Watford chairman Scott Duxbury told the club's website.